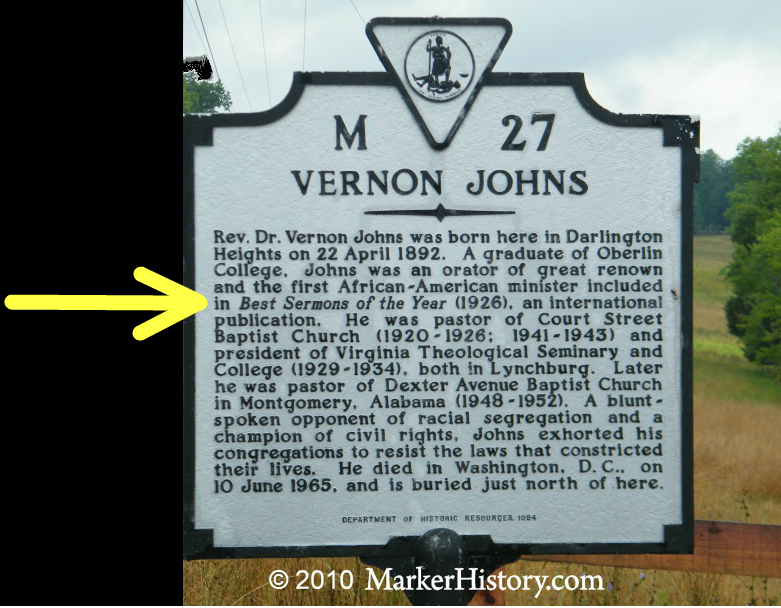 Vernon Johns (April 22, 1892 – June 11, 1965) is considered by some as the father of the American Civil Rights Movement, having laid the foundation on which Martin Luther King, Jr. and others would build. Johns was a courageous and vocal opponent of segregation. In 1926, he was the first African-American to have his work published in Best Sermons of the Year; this was a personal triumph for Johns as he had repeatedly submitted sermons for consideration in previous years. 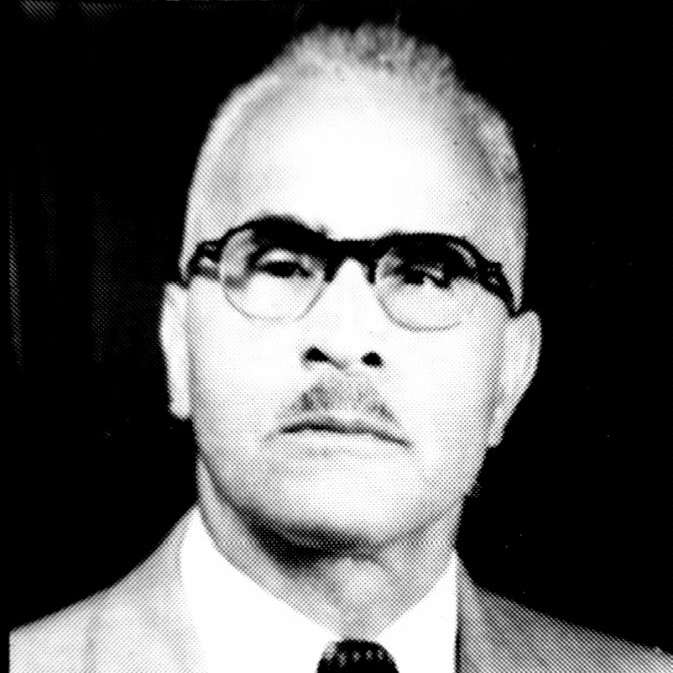 He was Dr. King’s predecessor as pastor at Dexter Avenue Baptist Church in Montgomery, Alabama from 1947 to 1952, and a mentor of Ralph Abernathy, Wyatt Walker, and many others in the Southern Christian Leadership Conference. 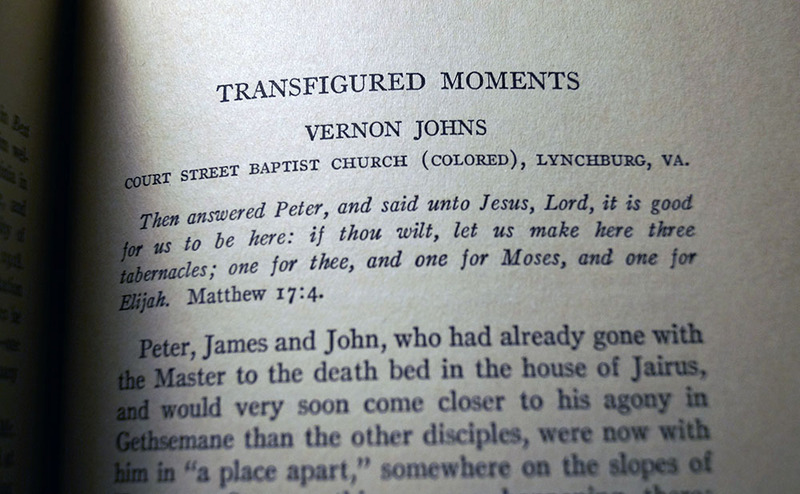 In 1926 Johns’s sermon became the first work by a black published in Best Sermons. This essay came to be studied by black theology students for the next generation. In his introduction to the essay, the editor Butler wrote that “Mr. 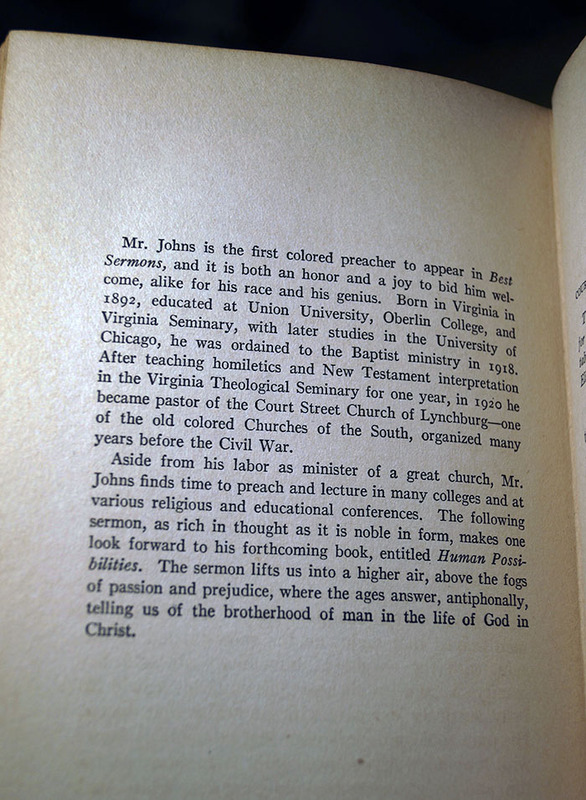 Johns is the first colored preacher to appear in Best Sermons, and it is both an honor and a joy to bid him welcome, alike for his race and his genius.” Butler also mentioned John’s plans for a forthcoming book Human Possibilities (which he never completed). On May 21, 1926 Johns filled out a form for Oberlin’s alumni files. His home address was 61 Monroe Street, Lynchburg, Virginia. He reported that he was still pastor of Court Street Baptist Church, Lynchburg. He said he was working on a manuscript for a book entitled Human Possibilities. 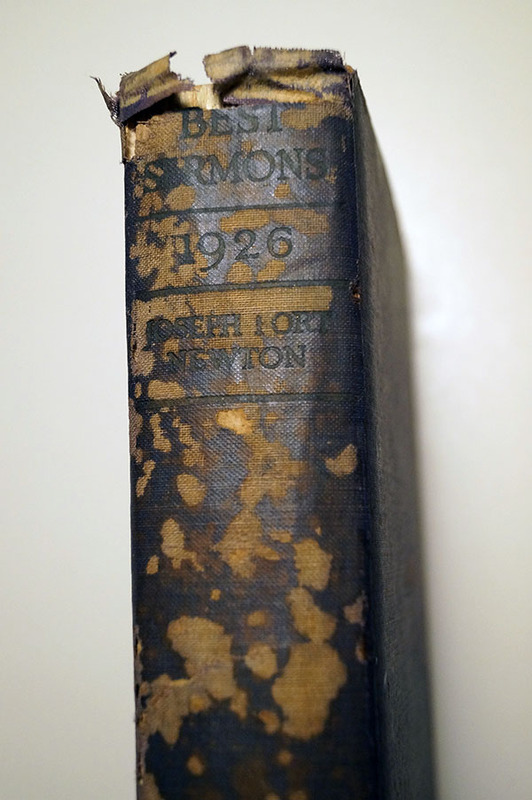 He says it was yet to be published, but it had an introduction written by Dr. E. W. Lyman.